Mark Angelini, President of Mercy Housing Lakefront, accepts a check for $15,300 from the Sixteen Inch Society. Another $700 came later from various donors. 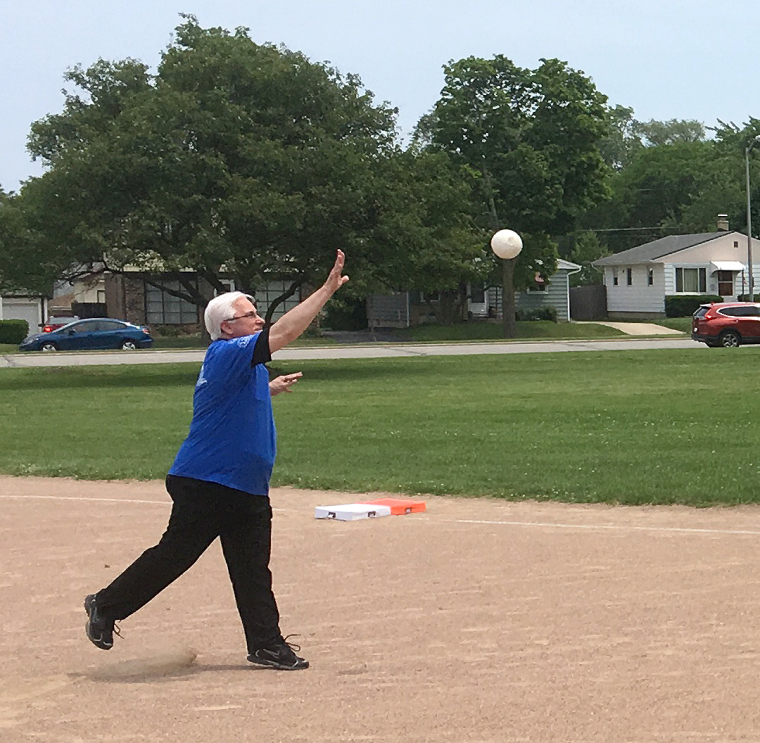 Last month, the Sixteen Inch Society, a philanthropic organization in Milwaukee, Wisconsin, hosted a game of sixteen-inch softball and raised $16,000 for Mercy Housing Lakefront! More than 60 people came together to make new friends, play some ball, and learn about the work of the affordable housing nonprofit. 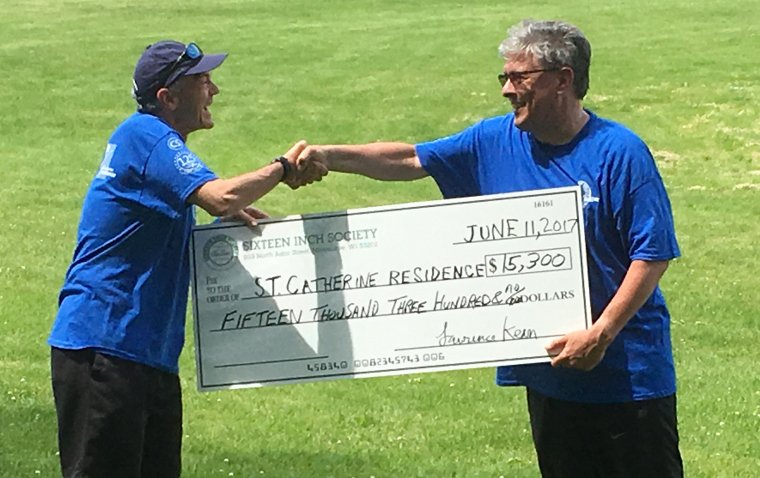 One hundred percent of the generous donation went to St. Catherine Residence, a community on the lower east side of Milwaukee that provides affordable housing and supportive services to more than 200 women with low incomes. The Sixteen Inch Society is the brainchild of friends Patrick Murphy, Ph.D., and Tom Franke, who both grew up in Chicago playing the iconic softball game. Every year, the Society hosts a sixteen inch softball game; participants are encouraged to donate to the year’s chosen charity. Since its founding in 2002, the Society has contributed a total of $172,300 to local nonprofit organizations. Recipients of the Sixteen Inch Society’s gift must be a Milwaukee-based charity and have a Chicago connection. The fundraiser comes at a time when people in Milwaukee increasingly struggle to make ends meet. A recent report found that people living in Milwaukee have to make $17.83 per hour, $10 above the state’s minimum wage, in order to afford a two-bedroom home at Fair Market Rate. The same report found that a person making minimum wage would have to work 89 hours per week to afford a two-bedroom home and 70 hours per week to afford a one-bedroom apartment.